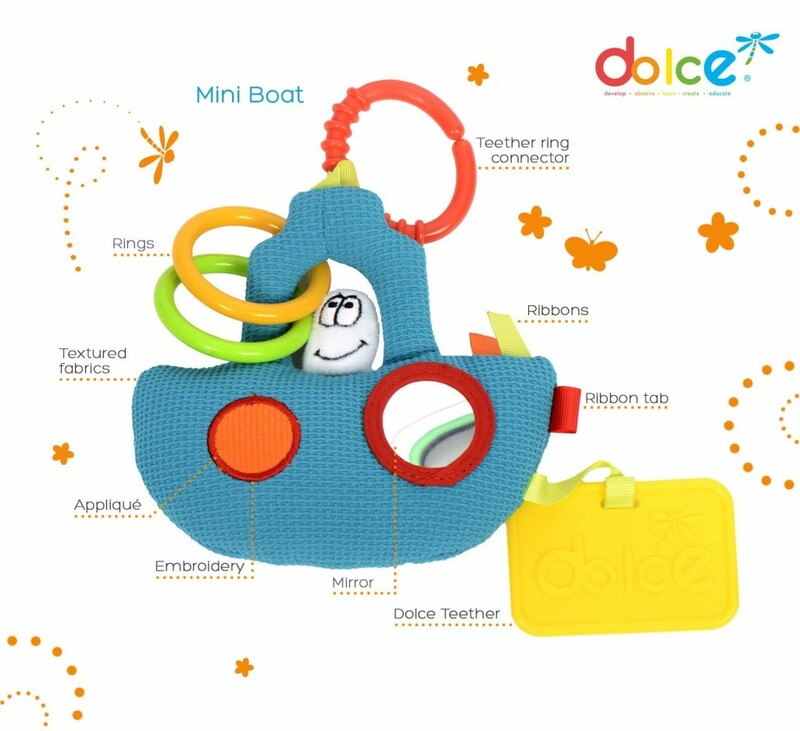 This fun boat has a friendly passenger with a soft embroidery texture. There is a mirror and teether rings. 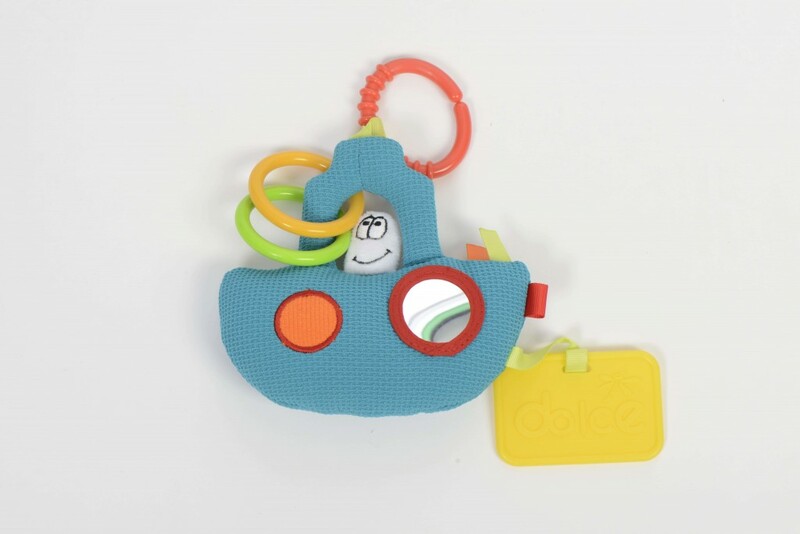 It also has a connector teether ring, so it can be played with in the hand or hung from a buggy or cot. • Touch: The different textures, rings and ribbons are extremely satisfying for children to play with. • 3D design helps babies to discriminate different patterns by tactile play.